Heating and cooling costs the average homeowner more than $1,000 a year - nearly half the home's total energy bill. ENERGY STAR qualified roof products reflect more of the sun's rays. This can lower roof surface temperature by up to 100F, decreasing the amount of heat transferred into a building. ENERGY STAR qualified roof products can help reduce the amount of air conditioning needed in buildings, and can reduce peak cooling demand by 10-15 percent. Although there are inherent benefits in the use of reflective roofing, before selecting a roofing product based on expected energy savings consumers should explore the expected calculated results that can be found on the Department of Energy's "Roof Savings Calculator" website at www.roofcalc.com . Please remember the Energy Savings that can be achieved with reflective roofing is highly dependent on facility design, insulation used, climatic conditions, building location, and building envelope efficiency. ENERGY STAR qualified roof products can help reduce the amount of air conditioning needed in buildings, and can reduce peak cooling demand by 10–15 percent. 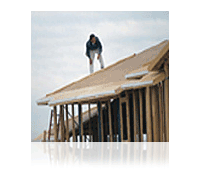 These are the top FAQs related to Roof Products and the ENERGY STAR program.